Throughout the weekend, farmers perform sheep shearing, while experts show off the sheep herding skills of border collies. Costumed historians will demonstrate the entire wool textile process, from scouring and carding the wool to spinning, and then knitting the hand-spun wool yarn. Visitors can even try their skill at hand-carding the wool. 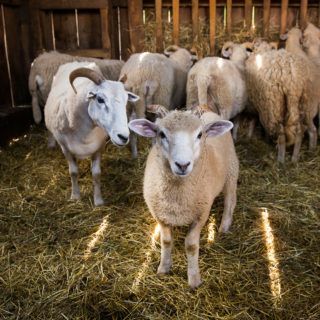 Learn about the natural dyes used to produce an amazing array of colors in the 19th century and about the different kinds of wool from different animals. See how wool is transformed into household linens and garments with demonstrations of the spinning wheel and loom. Watch a host of daily demonstrations, including musket firing, hearth cooking, printing, coopering, blacksmithing, shoe-making and more!